Made of Caron Simply Soft yarn using single crochet to form the body and handle. 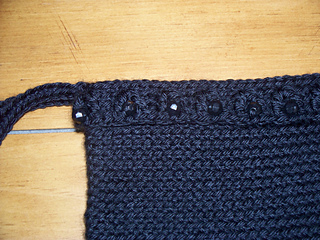 The trim is a simple v-st with an 8 mm black faceted acrylic bead crocheted in the ch 1 of the v-st. 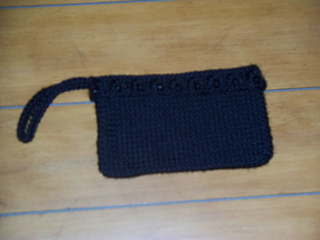 It is lined with black satin and has a zipper closure.